Land Destroyer: Kiev Losing, Sanctions Flopped, Airliner Down, War Back On? Kiev Losing, Sanctions Flopped, Airliner Down, War Back On? July 18, 2014 (Tony Cartalucci - NEO) - With Kiev's forces being encircled and decimated in eastern Ukraine, western Ukrainians in Kiev protesting the war, and US sanctions receiving global ridicule as feckless - the downing of a Malaysian Boeing 777 airliner with over 280 on board in eastern Ukraine - allegedly shot down over a conflict zone - will undoubtedly be exploited by NATO to vilify Kiev's opponents, particularly fighters in the east and Russia who NATO accuses of "destabilizing eastern Ukraine." Russia's defence ministry called the accusation "absurd", Russian state media reported. Rebels in eastern Ukraine say they shot down two Su-25 jets on Wednesday. Ukraine also alleges rockets were fired at its forces from Russian territory. Anton Gerashenko, an adviser to Ukraine's Interior Minister, said on Facebook that the plane was flying at an altitude of 33,000 feet when it was hit by a missile fired from a Buk launcher, reported Interfax, a Ukranian news agency. The Buk system is maintained by both Russia and Ukraine. Russia would most likely not supply the sophisticated weapon system to fighters in Ukraine even if it were backing them militarily, because it would be nearly impossible to prevent its use or abuse from being traced directly back to Moscow. 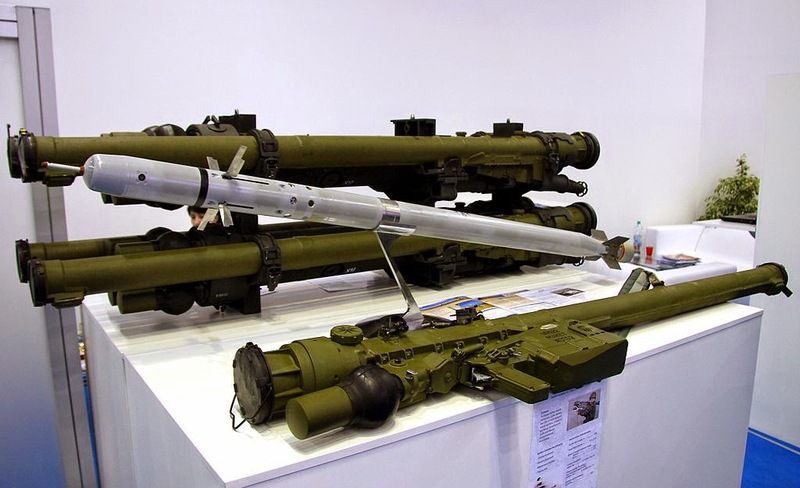 Ukrainian Buk systems, had the regime in Kiev lost control of one or more, should have been reported missing and international precautions taken to divert vulnerable aircraft around the conflict zone. "To leap to conclusions could be very embarrassing and really inappropriate until we have more information," he told NBC's Andrea Mitchell. "But there have been, as you mentioned, previous incidents of shot down of Ukrainian aircraft. This was an airliner headed towards Russian air space. And it has the earmarks, and I'm not concluding, but it has the earmarks of a mistaken identification of an aircraft that they may have believed was Ukrainian. "If that's true, this is a horrible tragedy event which was certainly unanticipated by anybody, no matter who they are," he said. "And there will be incredible repercussions if this is the case. Exactly what those will be will have to be determined by how we find out who was responsible." McCain added, "If it is a result of either separatists or Russian actions mistakingly believing that this was a Ukrainian warplane, I think there's going to be hell to pay and there should be." McCain never mentioned what should or could happen if it was the regime he helped put into power that was responsible for downing the airliner. 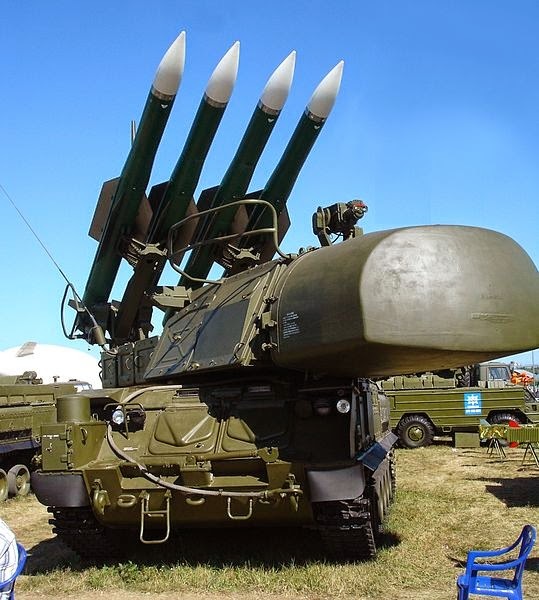 With the most likely weapon system responsible being the Buk launcher, and the regime in Kiev ascertaining so quickly how the plane was downed and who was responsible, it is now up to Kiev to explain how a Buk system ended up in the hands of separatists and why they would have fired at a plane flying at 33,000 feet heading toward the Russian border at speeds consistent with an airliner. The remote possibility that separatists obtained a sophisticated Buk anti-air missile system, was able to maintain and operate it, failed to identify the Malaysian 777, and exercised the poor judgement to fire on it - would make the tragedy a catastrophic case of mistaken identify - for the separatists have no conceivable reason to fire on a Malaysian passenger liner - and absolutely nothing to gain by doing so. However, for the regime in Kiev facing decimated and unraveling military forces in the east, growing dissent in the west, and Western sponsors who are unable to materialize any form of meaningful aid militarily, economically, or politically - shooting down a civilian airliner and blaming it on the separatists could unite public opinion and the leadership of European nations behind NATO and the US for a more direct intervention on behalf of Kiev and change the tide of what is now a battle they will otherwise inevitably lose. Sir Tony Brenton, a former UK ambassador to Russia, told BBC News it would not be a huge surprise if suspicion initially fell on the rebels. "That would be very damaging both for them and for their Russian supporters," he said. "The Russians have undoubtedly been supplying them with weapons, almost certainly with anti-aircraft weapons, so Russia would very likely be implicated and that would raise the volume of international criticism of Russia." Only the West and their proxies in Kiev would stand to benefit from this - and commentators like Tony Brenton and the BBC intentionally prey on the ignorance of their audience in hopes that they don't know the difference between the Igla systems separatists most likely have, and the Buk system they most likely don't have or are unable to operate. This is the second Malaysian 777 to be lost under extraordinary circumstances this year. Malaysian flight MH370 disappeared in March, 2014, and has yet to be found despite unprecedented international search efforts.